Throughout the Year, the Chaplaincy leads numerous retreats for various year groups. In January 2018, we took a group of Year 11 Girls and Boys to Kintbury, with reflections on Awareness, Reconciliation and the Good News. Here’s a video giving a small glimpse into our amazing retreat away! Year 11 Kintbury Retreat 2018 (Widescreen) from Bishop Challoner Chaplain on Vimeo. 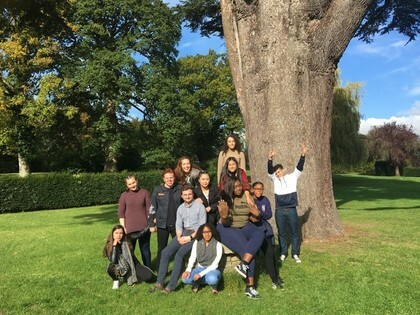 In October we had our Year 13 Justice and Peace Committee go on a 4 day residential Retreat to St Cassian’s, Kintbury. 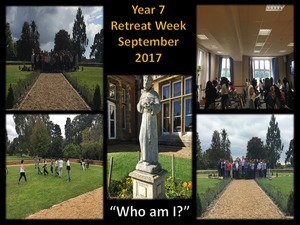 Every September we have Year 7 Retreat Week where each Year 7 form will have a Day Retreat. And in Year 9 a group of students go to Kintbury to reflect on the question 'Who am I'? Lourdes 2018 from Bishop Challoner on Vimeo. For the past two years our Chaplaincy has led a Year 10 Pilgrimage to Lourdes in the south of France. During the pilgrimage, students and members of staff spend a reflective spiritual week learning about the Story of Saint Bernadette Soubirous and when in 1858 the Virgin Mary, mother of God, appeared to her eighteen times. We accompany Christ’s final journey to Calgary with the life-sized Stations of the Cross. The staff and students get reflective points throughout the week within their groups whereby they discuss key themes and learn to support one another. The Year 10 Pilgrimage is slowing becoming an established annual event and we cannot wait to return again in 2018!